High visibility is so important to Ortlieb because it is a matter of safety. Both the waterproof, polyurethane-coated Cordura fabric in neon yellow (other colourway) and black fabric parts of this bag are densely interwoven with high-luminosity reflective yarn. This composition turns the entire bag into an eminently visible reflector when it is picked up in the headlights of passing cars. The Ultimate 6 High Visibility handlebar bag is a safety genius. Interwoven reflective yarn glows in the dark and increases your riding safety. When the bag is attached to the handlebar, all you need to do is turn a key to prevent it from being opened or removed from your bike. 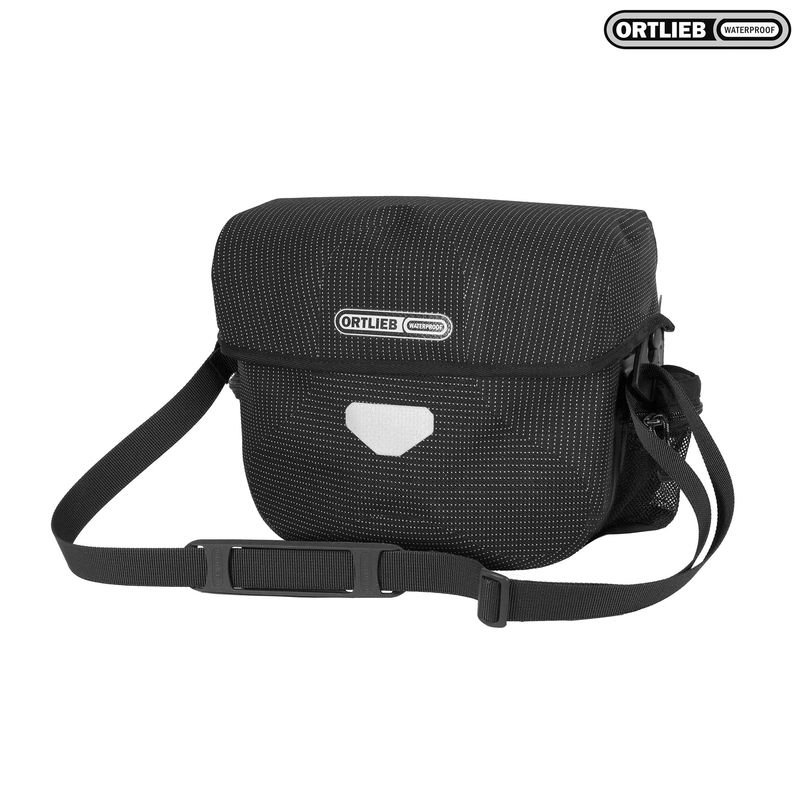 The magnetic closure in the flap, outside mesh pockets and comfortable shoulder strap offer enhanced convenience and a removable partitioner allows you to keep the contents of the bag in perfect order.